Sunflower (Helianthus annuus L.) is the 5th most important oilseed crop in the world and accounts for 8% of oilseed world production (FAO, 2011), with 32.3 million tons for the 2010/2011 harvest (Oil World, 2011). Sunflower is an erect, hirsute herb, 1 to 3.5 m high. It is an annual or perennial plant, but mainly grown as an annual. It has a strong taproot reaching down to 3 m, which gives it drought-tolerant properties (Ecocrop, 2011). The wide yellow flower head is 10 to 30 cm in diameter. It is composed of lots of tiny tubular flowers forming a disk. After pollination, the plant will bear as many seeds as it has flowers. 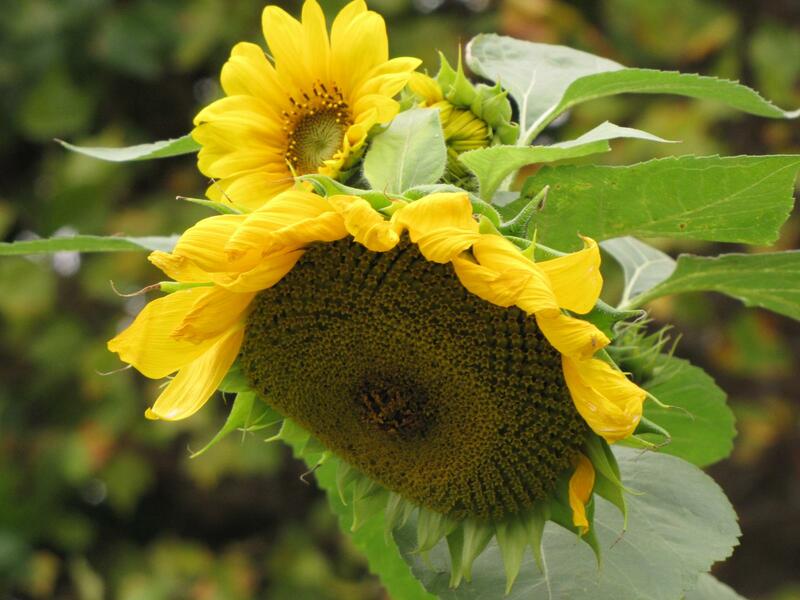 Sunflower heads follow the sun’s cycle during the pollination period and remain eastward-oriented after that (Grompone, 2005). There are two types of sunflowers: oil types containing 40% oil, and non-oil types with 30% oil (Grompone, 2005). 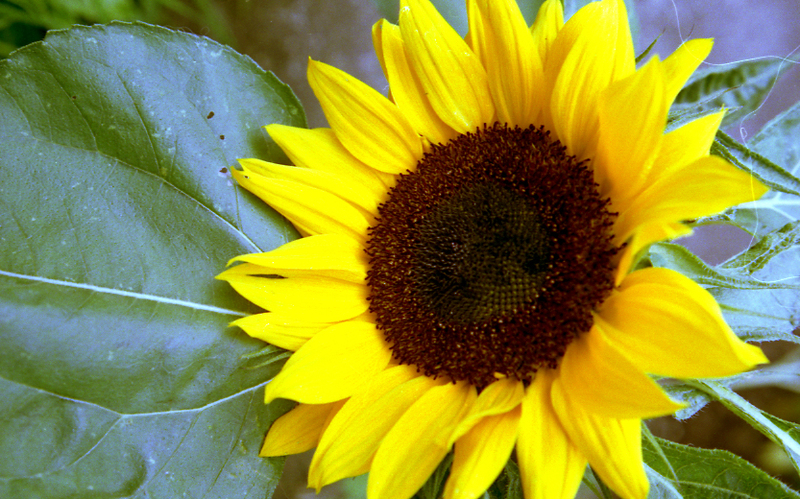 Oil types represent 80% to 95% of sunflower seed production. The oil is mainly used for cooking including frying. Industrial uses include lighting, cosmetics, resins, lubricants and biofuel (OECD, 2007). Non-oil types are mostly used in confectionery products such as roasted and/or dehulled seeds (ERS-USDA, 2010). Sunflower meal (or cake) is the by-product of oil extraction. It is a major source of protein for livestock, and particularly for ruminants (OECD, 2007). Sunflower hulls, obtained from the production of sunflower-based confectionery or from some oil extraction processes, are a highly fibrous product of low nutritive value. They can be a cheap source of fibre for ruminants, or used for bedding (OECD, 2007). Sunflower seeds are common ingredients in pet bird feeds. Their oil content and fatty acid composition also makes them valuable for livestock, notably beef and dairy cattle (OECD, 2007). Sunflower foliage and crop residues, such as the flower heads, are used for forage. Ensiled sunflower foliage can be valuable in areas with a season too short to produce mature maize for silage (OECD, 2007; Putnam et al., 1990). Sunflower oil is seldom used in livestock feed due to its higher economic value as a human food, but small amounts of sunflower oil help to reduce dust in animal meals (OECD, 2007). Native to Central North America, sunflower was domesticated before maize and is now cultivated worldwide, from Russia to South America. 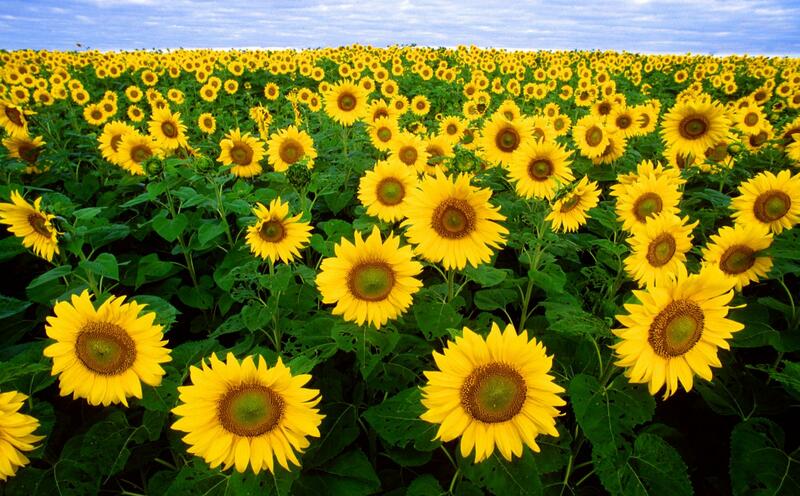 Russia is the largest sunflower producer. Together, Russia, Ukraine and Argentina produce more than 50% of the sunflower seeds (FAO, 2011). Sunflower can be grown between 40°S and 55°N, but the highest production occurs between 20-50°N and 20-40°S. It can be grown up to an altitude of 2600 m in the tropics, but grows best below 1500 m. It needs dry sunny weather and deep soils able to supply much water. It can stand temperature fluctuations between night and day ranging from 8°C to 34°C. It is moderately drought-tolerant (Ecocrop, 2011). Sunflower needs contrasting seasons to thrive (a thermal gap between summer and winter, a circulation of winds conveying rain, and short frost periods) (Grompone, 2005). It does not grow well in hot and humid climates. In Africa, its cultivation cannot expand beyond the highlands of eastern and southern tropical Africa (van der Vossen et al., 2007). 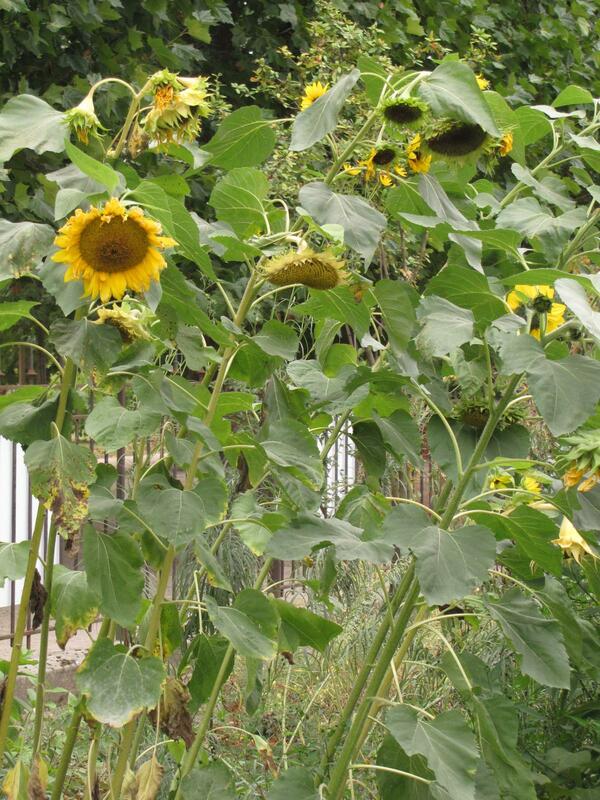 Sunflower is prone to numerous diseases and pests, and to damage by birds and rodents. This limits the small-scale and low-input cultivation of this crop (van der Vossen et al., 2007). The ability of sunflower to absorb and accumulate heavy metals has been put to use in soil remediation and in the treatment of aqueous wastes. Sunflower has been used to remove cadmium and lead from soils (Singh et al., 2007). Large scale plantations of sunflower have been established around Chernobyl to absorb radionuclides. Sunflower plants hydroponically grown in contaminated ponds were able to remove cesium, strontium and uranium radionuclides (Singh et al., 2007; Eapen et al., 2007). Sunflower cultivation can result in N depletion in the soil. These losses can be counter-balanced by leaving the litter from harvesting sunflower in the field (Fernando et al., 2010). The flowering period may increase bird and insect abundance and diversity. However, annual crops are regarded as a source of biodiversity loss because of short permanence on soil and intensive management (Fernando et al., 2010). Sunflower is a cadmium accumulator, and this heavy metal can cause liver and kidney diseases in humans and livestock. Cadmium present in the seed concentrates into the meal during crushing. Depending on the geographical origin, sunflower seeds run the risk of having cadmium levels leading to levels exceeding the limit in the meal. Directive 2002/32/EC limits the presence of cadmium in feed materials of vegetable origin to 1 ppm (FEDIOL, 2010).